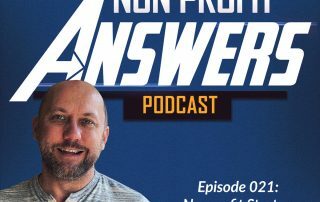 Whether you're at a brand new nonprofit, are revamping a fundraising program, or need creative ideas for fundraising for a new campaign or project, this episode will give you actionable fundraising ideas. Storytelling is the foundation of excellent nonprofit marketing. Jeremy is frequently asked, "how do I effectively tell our story?" In this special episode, Jeremy Reis explores effective nonprofit storytelling that produces results. You'll learn the tips and tricks to writing great nonprofit stories that raise funds and builds relationships with your donors and stakeholders. Episode 014 – How Do I Grow My Email List? Growing your email list is an essential part of digital marketing for your nonprofit. You will be able to create a new source of donors through adding people who have an affinity for your cause. In this episode, Jeremy explores several ways you can add new names to your email list. Do you have someone who edits out fundraising best practice from your appeals? Someone who doesn't like the urgency, postscripts, hyphens, folksy language, or handwritten notes? Is your fundraising suffering because of it? In episode 7, Jeremy answers a question from Julia about how to handle an Executive Director who doesn't understand fundraising and is undermining her efforts.